We’re frugal folk. There’s no need to spend $5 on something you can get for a buck. So when we see commercials on TV saying "get the same shampoo for less" we not only thought there might be something to it we went one step further and went to the dollar store. Yay dollar stuff! A bit of background first. A year ago we were using Suave products in the $2.50 to $3 range when Lisa had received some Pantene as a trial through a survey program. It worked much better than the Suave. So much so that she really saw there was a difference and I saw it too. Her hair was softer, her scalp was less dry and the color was richer. 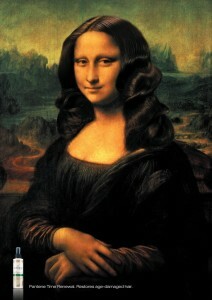 Recently Lisa had one of her gotta reduce costs kicks and bought shampoo at the dollar store. After a couple of weeks her hair looked faded and her scalp was itchy all the time. Unfortunately I was using it too and I didn’t like it much (it didn’t lather) so I said "I don’t like our shampoo. I’m gonna get more when I go to the store." To which she replied "thank god! I hated it, but I didn’t want to say anything." So out I went to get shampoo and after looking through 40 different varieties I decided on the good stuff. Now all I need to do is remind her of this in a year or so when she goes on another cutting costs kick.